Native to Africa and India, Bermuda grass is one of the top choices for southern climates and grows readily in Southern California along the coast and also in most inland areas. Bermuda grass is ideal for lawns but is also widely used for fields, golf courses, parks and other situations where grass takes a heavy beating from foot traffic. 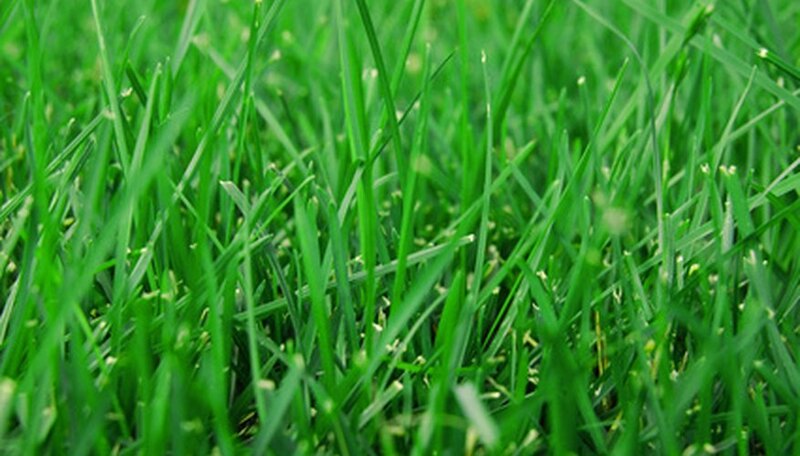 Plant Bermuda grass from seed in the spring in Southern California, once the soil temperature warms to 75 degrees F.
Mow over an existing lawn with a lawnmower to get it as short as possible. If you're planting Bermuda grass seed over a bare lawn, skip this step. Rake the stubble to expose the soil below. Rake back and forth with a grass rake to scratch the top 1/4 inch of topsoil on your lawn, whether you're planting grass over an existing lawn or over bare soil. Place topsoil on low patches in your lawn to even out the grade before you plant the grass seed. Scatter Bermuda grass seed over your lawn by hand or using a mechanical spreader, which you can rent from a garden center or rental center. Greenview Fertilizer recommends applying 16 seeds per square inch. Cover over the seed with 1/4 inch of topsoil if you planted over bare lawn; this holds the seed in place. If you planted over an existing lawn, the grass stubble will hold the seed in place and prevent it from being blown away. Water until the ground becomes moist but not soggy. Continue to water in this manner every morning and every evening until the grass seed germinates and grows to a height of 2 inches. After that, switch to weekly watering to nurture established grass.